Golf enthusiasts will absolutely love attending the Sanderson Farms Championship in Jackson, MS! This annual tournament is a treat to watch. This year, don’t settle for watching it on the Golf Channel; take a trip to the scenic state of Mississippi and experience the excitement for yourself! Discover everything you need to know about this highly anticipated competition and make your plans to attend today. This year’s Sanderson Farms Championship will take place October 24th-30th, 2016. All the events and festivities of this tournament will be held at the Country Club of Jackson, located at 345 St. Andrews Drive in Jackson, MS.
You will love watching some truly talented pros showing off their skills at the Sanderson Farms Championship! The full tournament schedule is posted online so you can find out when your favorite player is teeing off. There will also be numerous other events scattered throughout the week to add to the fun. University Day is on Saturday, October 29th, during which everyone is encouraged to wear their favorite team colors. Sunday, October 30th, is “Wear Pink Day,” in honor of Breast Cancer Awareness Month. Spectators of the Sanderson Farms Championship are allowed to bring cameras to the tournament Monday through Wednesday. Chairs, coolers, and other large items are not allowed, but there will be alcohol available for purchase here. You can conveniently buy your tickets for the Sanderson Farms Championship online, so get yours today! Sanderson Farms is a company fully committed to producing the finest, all-natural foods. Their passion for high-quality products is not limited to their meats and produce, however, but to all of their company endeavors, such as this excellent annual golf tournament. If watching this incredible tournament has inspired you to sharpen your golf skills, take a look at some of the golf courses in Jackson, MS! 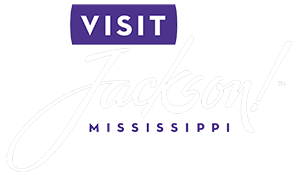 This city has plenty of scenic courses for you to enjoy a game in the great outdoors, such as the Country Club of Jackson and the Live Oaks Golf Club. You’re guaranteed to have an unforgettable golfing experience here, so start planning your trip to Mississippi today! Make sure to stay in the best accommodations in Jackson, MS, while you’re in town for the Sanderson Farms Championship! Fairview Inn is the perfect place for you to unwind; our bed and breakfast in Jackson, Mississippi, not only offers comfortable rooms and suites, delectable dining, private lounge, library, and game room, but we also have our very own spa for you to enjoy. Choose from exploring the many attractions of downtown or simply reveling in the comforts of our cozy inn and its relaxing, peaceful environment. You’re bound to love what we have to offer in our rustic haven of Mississippi, so don’t hesitate another moment; check our availability and book your stay today!